Vincent Joseph is a seasoned professional with multiple successful hospital turnarounds in New Jersey and nationally. Most recently Mr. Joseph was executive vice president and chief operating officer at Robert Wood Johnson University Hospital New Brunswick and Somerset where he saw financial turnaround and growth of services in both the adult and children’s hospitals. His work has increased operating revenues and improved patient satisfaction, revenue cycle, clinical excellence, and patient flow. Mr. Joseph has performed several mergers and acquisitions for health systems and negotiated definitive agreements for the new ownership. In addition, Mr. Joseph is a national consultant in healthcare, where he advises executive teams on hospital performance and operations throughout the country. 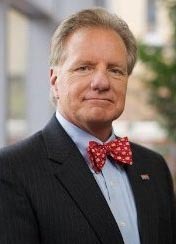 In 2015, Mr. Joseph established the center for executive advancement where he conducts a Medical Leadership Academy for physician leaders throughout the state of New Jersey. In addition, Mr. Joseph speaks nationally on current issues in healthcare as well as conducts learning retreats. In his 40 years in healthcare Mr. Joseph has helped many executives and executive teams grow through his counseling and coaching. Mr. Joseph also provides executive 1:1 coaching opportunities. You can follow Mr. Joseph’s monthly coach’s corner on LinkedIn. Ciamborne, Regina., Zavotsky, Kathleen., Souto, Keeba., Baron, Katherine., Joseph, Vincent., Johnson, Joyce E., Mastro, Kari. (2012) “ReDesign of an Urban Academic Emergency Department: Action Research Can Make a Difference.” Journal of Emergency Nursing.